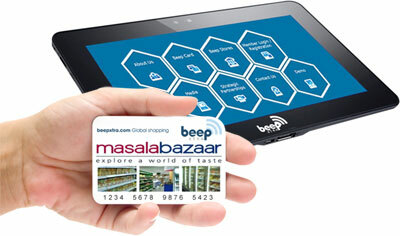 This will extend the Beepxtra loyalty card to manage your day to day processes. The Beepxtra team has a vast experience with retail companies throughout the globe and has developed it's own ePOS system based on this experience. We have made the Beepxtra EPOS as flexible as possible to fit the business requirements of the smallest retailer to more complex enterprise level groups. As such the Beepxtra EPOS is universal and fully customisable to your individual needs to match your way of working. The core functions are: cash register, multiple payment options, stock control, product management, employee management, & reports. Beepxtra has a standalone solution to enable you to avoid having to integrate with your existing ePOS system. Inexpensive tablets are supplied at each cash desk in-store which operates independently from your internal systems. Cashbacks can be easily posted to a Beepxtra Card as the cashier simply types or swipes the card number, the amount of purchase to be discounted and the discount provided.